The benefits of permanent makeup for most of us are clear: Less time spent in front of the mirror, less money spent at the cosmetics counter, and the promise of waking up fresh faced and beautiful no matter what happened the night before. It’s no wonder so many people are choosing permanent makeup to enhance and simplify their lives. As well as the general benefits all of us can expect from our treatments, did you know that makeup tattoos can also be used to treat and manage a whole host of personal problems too? Although by no means a medical treatment, the correct and intelligent use of tattoo eyebrows, eyeliner and lips, as well as other cosmetic treatments, can effectively hide otherwise embarrassing personal issues. When an injury is suffered which traumatises the skin very deeply, the colour or ‘pigment’ of the skin can be lost. This can be caused by many accidents, from dog bites to burns, skin diseases or medical procedures. The resulting scar tissue can make an unsightly white area, which can knock people’s confidence and make them feel less than their best. Using permanent makeup techniques, this area can be effectively camouflaged to disguise the scar and to repigment the person’s skin. As long as the scar is completely healed, no longer pink and is relatively smooth and flat, cosmetic tattooing can be used to hide the scar completely. Although this treatment can sometimes take several sessions to really be effective, the end results are usually very successful. Second only to pattern baldness, Alopecia Areata Universalis is one of the most common causes of hair loss in both men and women around the world. When hair is lost from the head, it can often be disguised with different hairstyles, hats, wigs and other tactics. However, when hair is lost from the eyebrows and eyelashes, there is no hiding from the issue. 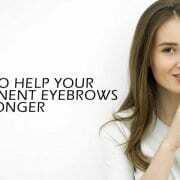 Having thin or no eyebrows or eyelashes takes more away from your face than you realise. Eyes become piggy and older looking, and the lack of eyebrows takes away a whole range of normal facial expressions. 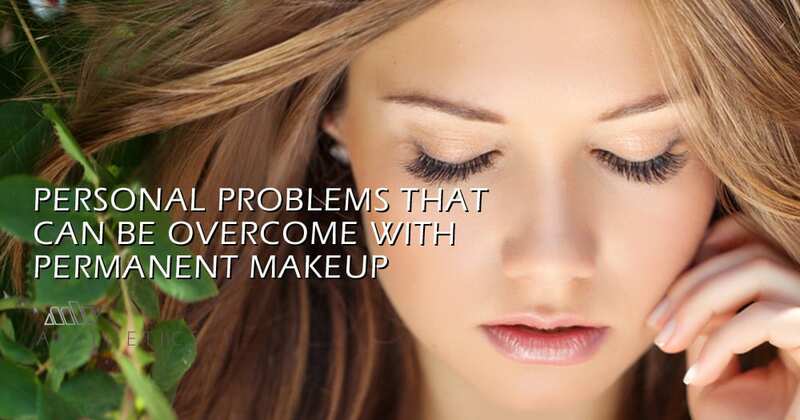 Thankfully, semi-permanent eyebrow tattoos and eyeliner treatments can provide a workable solution to this problem. A good permanent make-up technician can work with you to create natural looking, beautiful eyebrows to replace your own, even incorporating what is left of yours for a truly gorgeous finish. Eyeliner can also be used to accentuate eyes when the eyelashes are thinning or gone, helping to frame your expression and bring a sparkle back to your face. As well as helping those suffering with alopecia, these treatments can help post chemotherapy hair loss, trichotillomania (hair pulling) and people with very fair hair such as albinos. You might not think excessively sweating is a major problem, but for people who suffer with this condition, it can get in the way more than you think. Imagine applying your eye make up with care and loving attention every morning, only to discover it’s slid half way down your face by the time you arrive at work – not a pleasant scenario. Sweating excessively, also called hyperhidrosis, can be caused by diabetes, a thyroid problem or because of an infection, or it may just be that someone feels the heat more than others. 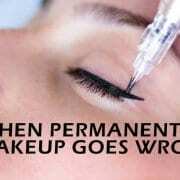 Either way, it can make wearing makeup practically impossible, that is unless you’re willing to try make up tattooing. Because a makeup tattoo will not slip, smudge or smear, you can be confident that you look your best, no matter how hot under the collar you are getting. 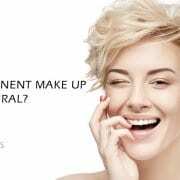 From eyeliner to lip colour, 3D brows to beautiful eye contouring, semi-permanent make up can keep you looking amazing even when your body wants to let you down. We all get emotional from time to time, but some people just weep uncontrollably for much of the day. Watery eye is also known as epiphora, and is a condition in which there is an overflow of tears from the eye onto the face, usually without any emotional or other explanation. It can be caused by infection, blocked tear ducts or allergies, as well as a host of other medically significant causes. It’s important to get any condition such as this properly diagnosed, in order to protect your all-important sight from any damage. However, if you know this is just something you’ve got to live with, and it’s driving you crazy because you can’t wear eye makeup, then permanent make up can help. As with excessive sweating, eyeliner tattoos and eyebrow tattooing can bring you the drama, the definition and the beauty you are looking for, without the risk of an unsightly smear or smudge because of your problem. One of the biggest personal problems we see being solved first hand, every day, is that of low self-esteem. People who struggle to apply makeup, or who just aren’t able to because of problems they have, finally see themselves in the mirror looking just how they’ve always wanted to look. Even better, they know that this look will not disappear the first time they shower or wash their face. They can walk out of our salon, confident that they are going to look simply amazing for months, even years, into the future. 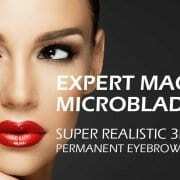 Discover the amazing benefits of semi-permanent makeup for yourself. Call today for a free consultation or to discuss your treatment options. 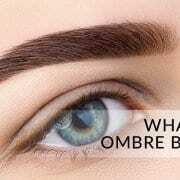 Semi-permanent eyebrows: microblading or machine?